Weekend Shopping and Other Notes! So, did anyone do some damage this weekend? There was a lot going on out there! Today was the final day for Loft's 30% off, and in my store they were taking it AND the 40% off clearance on markdowns! Can you believe it? And I couldn't find a single thing I wanted. My end of the sizing spectrum was pretty well cleaned out. Talbots had a bunch of stuff marked down, and then an additional 20% coupon. I did buy a few things there, not the majorly cheap deals I find sometimes, but its stuff I had my eye on and is not going to be around long enough to wait. The coupon is good until tomorrow (click here for in store coupon) and gives 20% off and free shipping code: 028233130. This skirt is only left in-store, and is much more beautiful in real life. I am sure you will see it on me soon. This jacket is in-store only as well, and was really limited there. It set me back a cool $30. 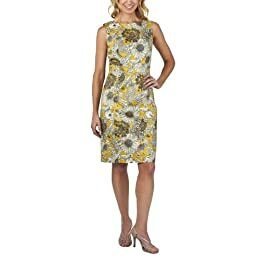 In my local Target store, they dropped the Liberty of London prices on all of the clothing, I picked up a super cute dress, which I never would have glanced at online, but was so cute in the store, and fit like a glove! Oh - speaking of Target, I got my May InStyle magazine in the mail last week, and towards the front, (I think around page 50) there is a Target fold out ad, check it out, because there is a 20% off coupon for any Merona item inside. Macy's Friends and Family starts this week. Online, the code is MACYSFF. To print a coupon click here. It runs April 28th to May 3rd. Extra 25% on regular, sale, and clearance "including all the designer names you love" 10% off on small electrics, personal care electrics, technology, furniture, mattresses, and area rugs. Excludes: Everyday Values (EDV), cosmetics, fragrances, eSpot, Tempur-pedic, Louis Vuitton, selected Licensed Depts; Online Coach and toy purchases. Lastly, I am going to have a Silpada "Book Show" coming up, so if any of you guys like Silpada jewelry, (or check it out, and decide you like it) I would love you to place an order through my show! I wear it a lot, but don't usually remember to tag it. :-/ Anyways, I will have ordering details tomorrow. I'm glad you mentioned the merona coupon - I never pull out the fold-out ads so I totally missed it!